Blog PlayStation Vue - Video game or streaming service? Contrary to what the name would imply, you don’t actually need a PlayStation to watch PlayStation Vue. PlayStation Vue is a streaming service that doesn’t require a contract and offers multiple packages of live TV channels without cable. It’s name leads to a lot of confusion about the service, which is disappointing considering how good it actually it. It’s one of the services we recommend the most, especially to people who like a large variety of channels. PSVue has one of the highest channels/dollar ratio in the entire industry and is rivaled only by DirecTV Now. 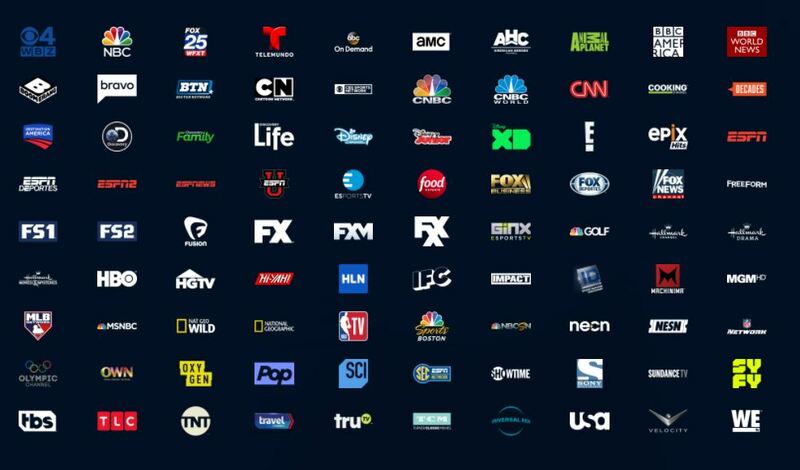 With PlayStation Vue, you get a good number of channels in each package, but more importantly, you get channels people want. 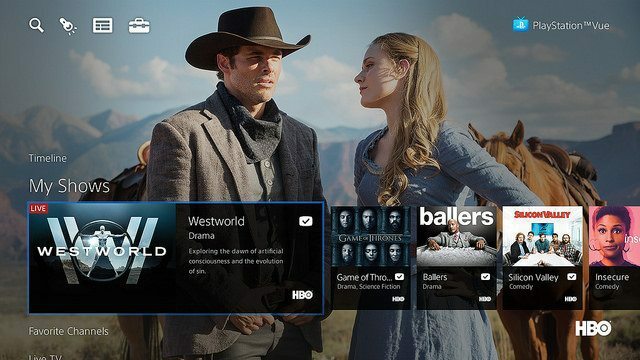 This article will explain what PlayStation Vue is, what it offers, and why you should consider it when you cut the cord. In march of 2015, Sony, maker of PlayStation, released a streaming platform that was only available on PlayStation game consoles. 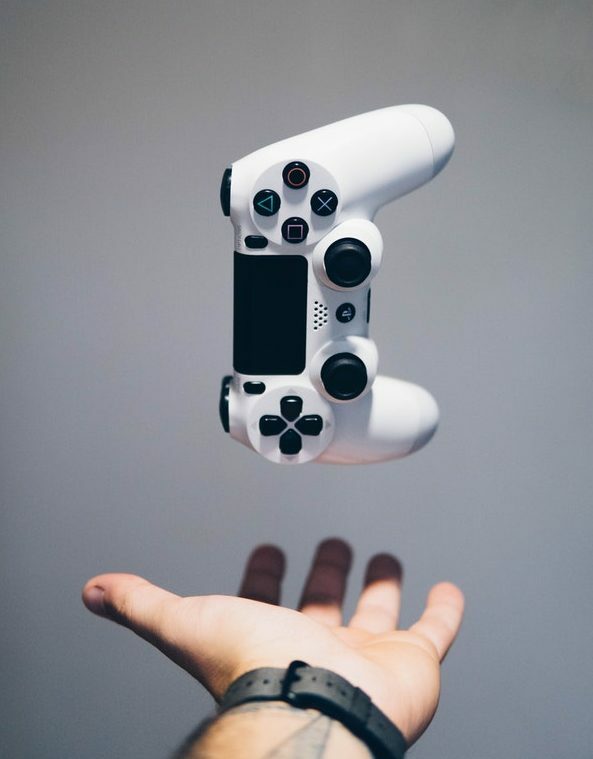 Due to it’s immediate success, Sony continued to roll out the platform for other devices including Google Chromecast, Amazon Fire TV, iOS and Android systems. What started as a cable alternative for gamers quickly grew into so much more. Although they kept the name as PlayStation Vue, the system was much more than a PlayStation service. It offers multiple different packages with about 100 unique channels and is a fantastic alternative to cable TV. What channels does PlayStation Vue Have? What devices can I stream PS Vue on? PlayStation Vue has 4 core packages and a few premium add-on channels. Although not as al la carte as something like Sling TV, the PS Vue service is great for people who watch a decent variety of channels. Their smallest package, PS Vue Access, starts at $39.99 making it one of the more premium cord cutting options. Although more pricey than some of its competitors, it makes up for it with its large library of highly requested channels. The breakdown for each service is below. You’re allowed to have up to five devices registered at a time with your PS Vue subscription. After that, you’ll have to unregister one before you can register another. You also get five simultaneous streams allowing you to actually use all five registered devices. 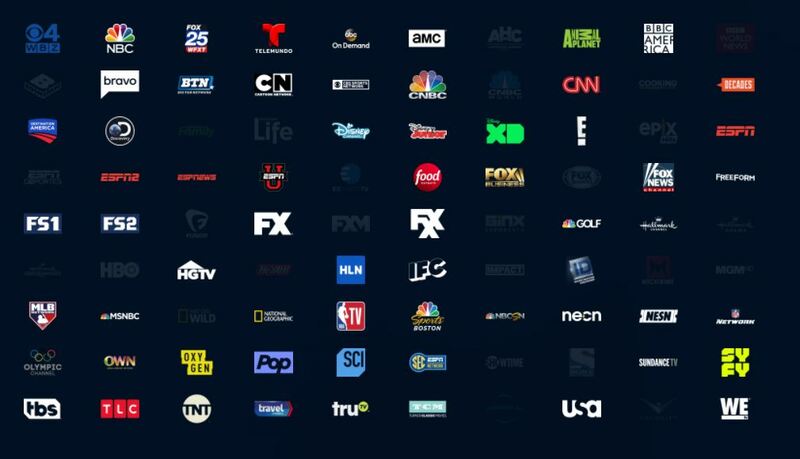 Compared to other streaming platforms, PlayStation Vue has one of the highest simultaneous streams, making it great for anyone with a lot of TVs/devices. One of PS Vue’s major selling points over its competitors has been its DVR. Although the other streaming services are launching or improving theirs, it seems like Sony is always fighting for the top spot with Sling (excluding YouTube TV’s ridiculous DVR of course). Recently, they changed their DVR to make the service even better. They made the DVR automatically record an extra 50 minutes of any sports event so that you don’t miss any overtime that may happen. It may seem like a small change, but missing the double overtime of a game is no small mistake. Considering the DVR is included, it’s way better than you’d expect. The PS Vue DVR can record up to 500 shows for 28 days. You’re also allowed to skip through ads on any of your recorded programs. With such a large storage space and the ability to skip ads, we find a lot of people would rather record their shows and watch them on demand than stream them live. Although Sling TV, fuboTV and others have DVR, competitors like DirecTV Now don’t. 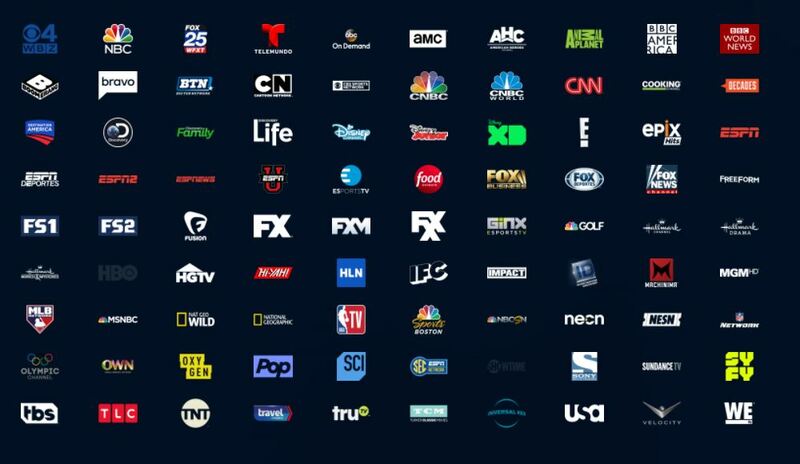 If you find yourself recording a lot of content, you can add a point to the PS Vue list in your search for the right cord cutting service. 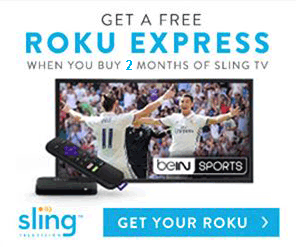 We talk about Sling TV on this site a lot. The reason for this is because it is the closest service to what we believe purchasing content should be; completely al la carte. Although we find that when people cut cable, they like to take a decent amount of cable content with them. Major channels like ESPN, FOX sports, and NBC are typically on people’s required list. PS Vue may start with larger and more expensive packages than Sling, but the content is extremely well curated. 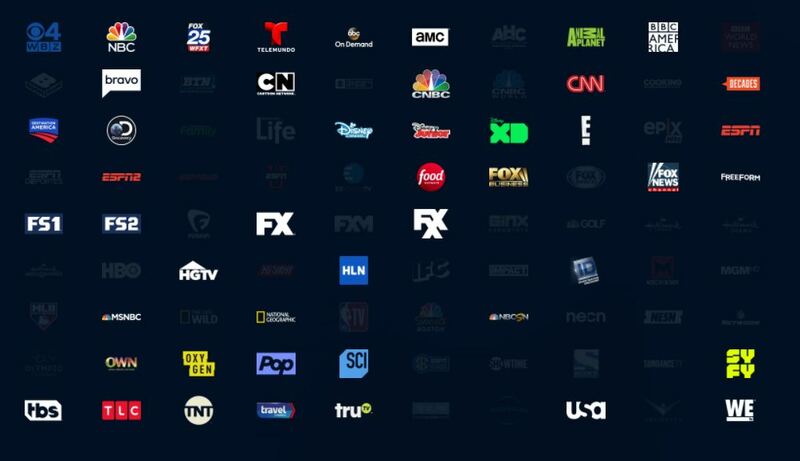 When people send us their list of requested channels, PlayStation Vue is usually the cheapest option for those who require a decent amount of channels. PS Vue wins out against Sling for people who want less of a major transition into the cord cutting life, but falls slightly behind for true custom packages. We know a tie is kind of a cop-out, but it’s hard to compare apples to oranges. They both serve different sections of the cord cutting community, and both do their jobs well. This comparison is much more fair than the one above. Both PS Vue and DirecTV Now offer similar size packages and seem to target the same group of cable cutters. If we compare user experience and design of the interface, PS Vue wins by a landslide. It’s one of the better designed services overall, and DirecTV can’t compare. If we look at price and channels then we see a different story. DirecTV Now has cheaper packages that have more channels than PS Vue. It also offers cheaper add-on packages for premium channels than DirecTV Now. For example, with HBO you can add it on to PS Vue for $15 or you can get the same channel as an add-on to DirecTV Now for only $5. Keep in mind that a streaming service’s package might have more total channels, but if it’s not the content you want then there’s no point. There’s no reason to “get the better deal” if it means you’ll be missing out on content that you actually want to watch. Sona has a minimum of a 5 day PS Vue free trial for their packages. Some of the add on or standalone premium channels (HBO, EPIX Hits, etc.) have a 7 day free trial. It’s a great way to test the products before you commit to cutting cable, but make sure that you remember the trial lengths are different and you don’t forget to cancel a main package by accident!